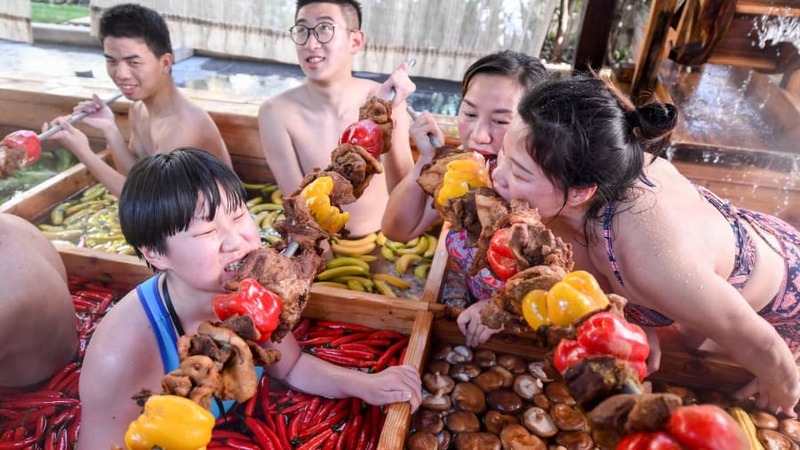 A Lunar New Year promotion at a hotel in China's Zhejiang province will likely draw reactions of either horror or delight among fans of Chinese hot pot. 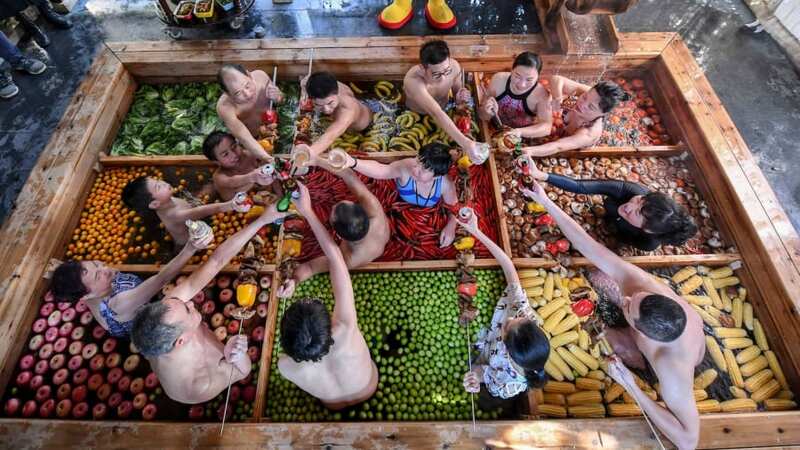 Hangzhou's First World Hotel, home to the Yunman Hot Spring, has designed one of its hot spring pools to look like one big human hot pot. The hotel says it aims to promote a healthy lifestyle in the run-up to the Lunar New Year, or spring festival, which begins the first week of February. 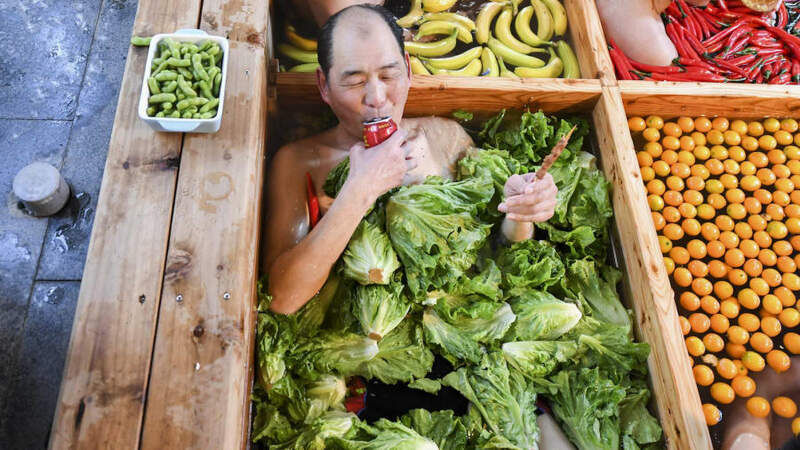 Much like the real thing, the rectangular hot spring is divided into compartments, each filled with produce such as limes, chilies, lettuce, apples and bananas. And dippers can dine while they soak, too. Unlike Chengdu or Chongqing, hot pot probably isn't the first thing one might associate with the city of Hangzhou. But the area's abundance of mountain-fed hot springs has made it a popular weekend destination, given it's just a two-hour drive from Shanghai.